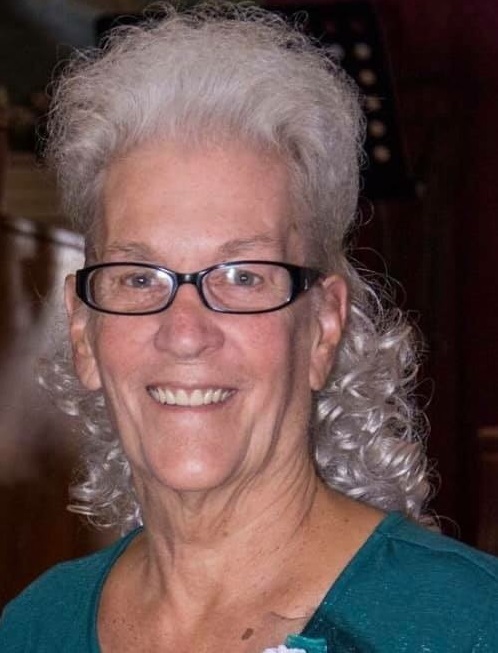 Mrs. Elizabeth Lucille Thaxton age 74, of Hendersonville, TN, went to Heaven on Wednesday, January 23, 2019. Mrs. Thaxton was born in Springfield, TN, on May 29, 1944, the daughter of the late Clarence Wooten and Agnes Lucille Fletcher Timmons. She will be remembered most for her love for God and her family. Mrs. Thaxton was a member of Hendersonville Pentecostal Church where she was very involved. Mrs. Thaxton enjoyed spending time with her family, water and lake activities, playing the piano, helping others, and having girls’ day out. In addition to her parents, Mrs. Thaxton was preceded in death by her two sisters, Shirley Reeves and Virgie Cogbill. Survivors include her husband, Rodger Dale Thaxton to whom she was married on April 6, 1961; three daughters, Cindy (Bobby) Parrish, Rhonda (Larryrick) Scruggs, and Tonya (Gary) Farmer; ten grandchildren, Phillip Williams, Davin Johnson, Brandon Parrish, Megan Parrish, Amber Parrish, Shannon Cole, Anthony Ward, II, Brandon Scruggs, Kyle Tyler Scruggs, and Dillan Farmer; four great-grandchildren; and two brothers, Bobby Wooten and Marvin (Sharon) Wooten. Several nieces and nephews also survive. A Celebration of Life will be held Saturday, January 26, 2019, at 2:00 P.M., Hendersonville Pentecostal Church with Rev. James Dunlap, Rev. Dan Deaton, and Rev. Robert Warren officiating. Interment will follow at Hendersonville Memory Gardens with Rev. Guy Frazier and Rev. Kent Riddle officiating. Gathering of Family & Friends will be held Friday from 4:00 P.M. until 8:00 P.M. and Saturday from 11:00 A.M. until the funeral hour at Hendersonville Pentecostal Church. The following gentlemen will serve as active pallbearers and are requested to meet at the church on Saturday by 1:30 P.M.: Phillip Williams, Brandon Scruggs, Davin Johnson, Anthony Ward, II, Dillan Farmer, Brandon Parrish, and Shannon Cole. Visit the online obituary www.hendersonvillefh.com. Knowing Sister Thaxton is Resting Safe in the Arms of Jesus! Sending my love & prayers to all the family. She was such a wonderful woman, with such a huge & kind heart! She will be greatly missed. ; although now she is home- walking streets of gold.